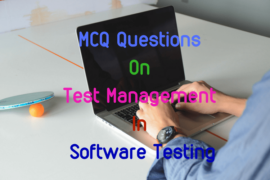 engineering includes MCQ questions on software reliability metrics which have been used for software reliability specification along with their examples, different strategies used in reliability in a software system, structured programming and error avoidance. It also includes about different aspects to fault tolerance along with fault recovery process. 1. A software reliability matrix, ……………….. is a measure of the likelihood that the system will fail when a service request is made. 2. Operating system and transaction processing system are the example systems of ……………. matrix which have been used for software reliability specification. 3. …………… is a measure of the time between observed system failures. 4. …………….. is a measure of the frequency of occurrence with which unexpected behavior is likely to occur. 6. Systems with long transactions such as CAD systems are the example systems of ……………. matrix. 7. …………… is a measure of how likely the system is to be available for use. 8. Select the correct order for the steps involved in statistical testing. i) Apply these test cases to the program. 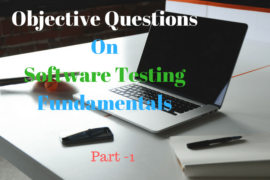 ii) Determine the operational profile of the software. iii) Select or generate a set of test data corresponding to the operational profile. 9. 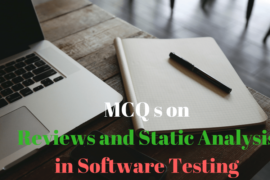 Reliability in software system can be achieved using which of the following strategies. i) Restriction on the use of programming construct, such as pointers, which are inherently error-prone. ii) The use of strongly typed programming language so that possible errors are detected by the language compiler. iii) The availability of a precise system specification, which is an unambiguous description of what, must be implemented. 11. …………………. is a term which is to mean programming without using go to statements, programming using only while loops and if statements as control structures and designing using a top-down approach. 12. We can reduce the faults introduced into programs with the use of these constructs is minimized. 13. ………………. are means of forcing control to transfer to a section of code irrespective of the code currently executing. 14. ……………… is the situation in which a subroutine calls itself or calls another subroutine, which then calls the calling subroutine. 15. ……………. may be unavoidable but its use should be carefully controlled to minimize inter-process dependencies. 16. ……………….. is needed in situations where system failure would cause some accident or where a loss of system operation would cause large economic losses. 17. Which of the following are the aspects to fault tolerance. 18. ………………. is an approach to fault tolerance, which can be carried out without a fault-tolerant controller.